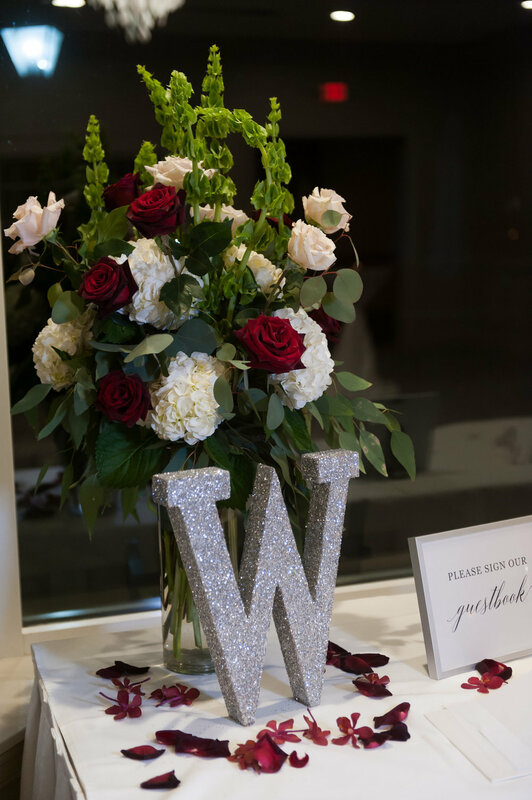 With deep reds, silver accents, and stunning details, Brittany and Brad’s wedding at White Eagle Golf Club was nothing short of stunning! 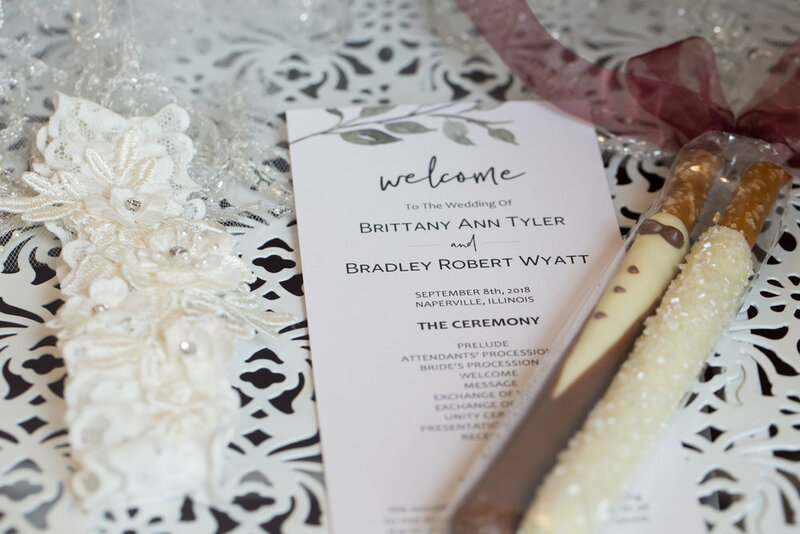 This elegant soiree was captured by the talented Missy of Elite Photo and we can’t wait for you to see it. Keep scrolling to see more! The first time I met Brad and Brittany, they pulled up to my office riding Brad's super cool motorcycle. They are among the coolest, friendliest, most beautiful and amazing people I have met and I am so excited to finally share this day with all of you. 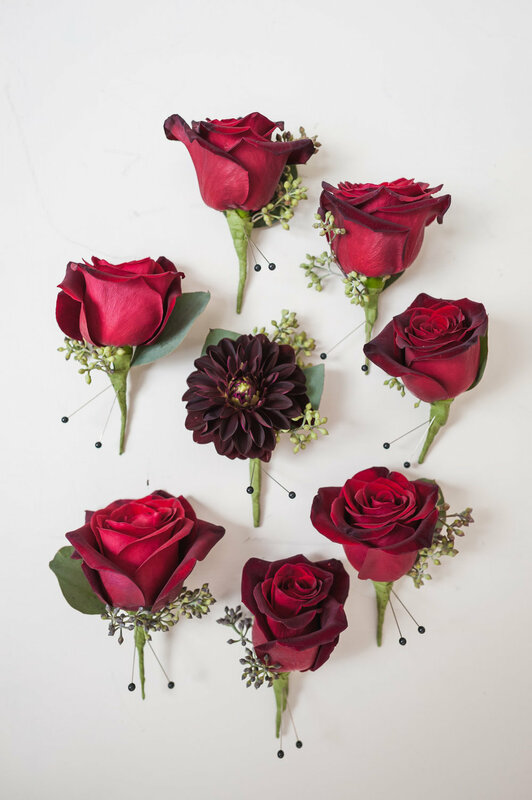 Some favorite details I just LOVED - Brittany's stunning gown, the silver accents, and the beautiful, deep reds with hints of maroon dahlias in the florals. Describe 2-3 details of this event that were extra special to you. If it was a DIY project, share details of how you did that (if you wish). Being surrounded with all my family and close friends, having my grandmother's charm on my garter, and not doing a first look. What 2-3 pieces of advice you can share with couples that are still in the planning process? Don't sweat the small stuff - it will all come together, take the help if your friends and family offer it, and enjoy it while it lasts. Do you have a story you would like to share about your wedding day? Brad and I made sure to take a moment to just ourselves at the reception. We went outside and enjoyed just each other for 5-10 minutes to soak in the night and celebrating together.